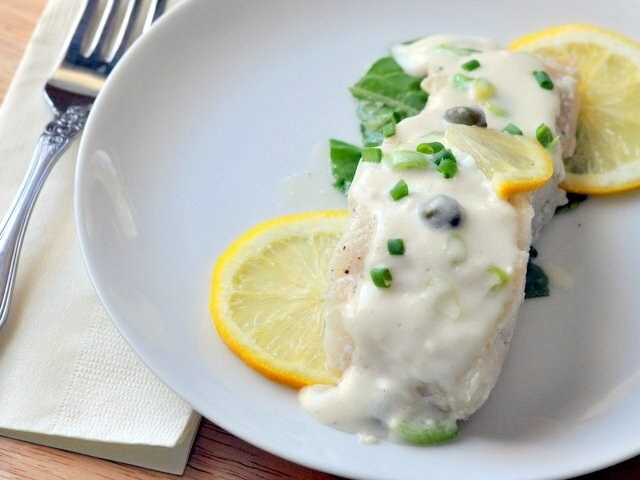 Thick and juicy cod meat is of great nutritional value. It contains a lot of minerals and vitamins, as well as extremely beneficial for the body of unsaturated fatty acids. The taste of this fish is quite pleasant, it can be used for cooking a variety of dishes. It is especially tender in a cream sauce. - ½ Bunch of green onions. Potatoes and carrots clean and cut not too thin rings. Lay on the bottom of the pot or pan with thick walls. Season with a little salt and pepper. On top sprinkle with coarsely chopped leeks. Fish fillet wash and cut into large pieces, lay them on a bed of vegetables and add salt. Add allspice and pour all the water at room temperature – it should cover the ingredients by 1 cm, Put on fire and bring to a boil, then reduce the flame, simmer, covered for 10 minutes. Add the sour cream and cook for the same amount of time. The finished dish arrange on plates and sprinkle with chopped green onions. When you want to eat more refined dish, you can put out cod in sour cream with the addition of shrimp, wine and herbs. Shrimp defrost at room temperature and clean. Cod fillets cut into pieces small size. Fennel cut into thin slices and sauté it in a skillet in olive oil. Add the white wine and evaporate half. Add hot fish stock and a few minutes later the sour cream. When the sauce boils, add the shrimp and pieces of cod. Add salt to taste and cook under closed lid on low heat for 10 minutes. After the allotted time add the Bay leaf just for a few minutes. Then throw it, and in a dish put the sprigs of thyme. Remove from heat and let stand, covered 5 minutes. Serve in deep bowls, sprinkle with parsley. As a side dish best suited oven baked potatoes or asparagus with herbs. But to drink thus prepared the fish should be white wine.